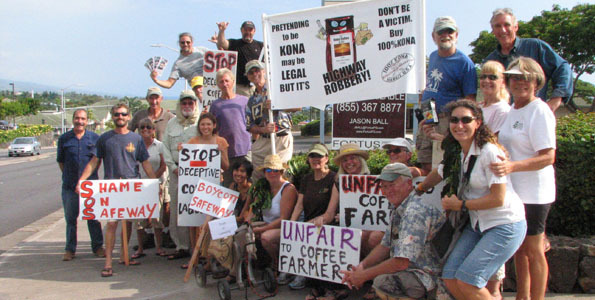 About two dozen coffee farmers and supporters gathered outside the Kona Safeway store Thursday afternoon, protesting the grocery giant’s coffee blend. 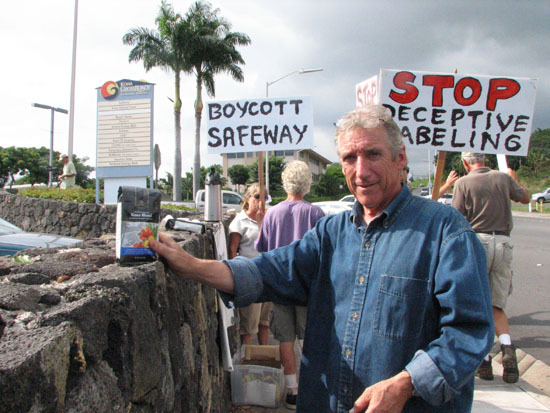 Safeway came under fire from Kona coffee farmers after board member Paul Uster noticed a grocery store in California was offering a Kona blend medium roast coffee, but didn’t specify what percentage was made from Kona coffee or whether it was grown in Hawaii. By law in Hawaii, that information is required for labels on Hawaii-grown coffee to inform consumers and protect the Kona brand. The Safeway label does tout ‘savory beans from Hawaii’s Big Island’ and does specify it contains ‘100% Arabica coffee.’ Kona coffee is Arabica. 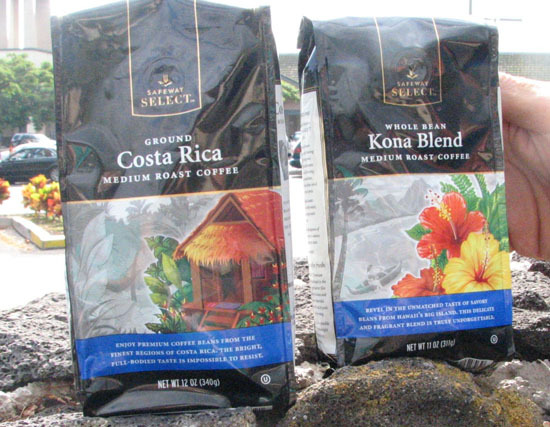 According to KCFA officials, the package sells for one-quarter the price of genuine Kona coffee as sold by Peet’s and Starbucks, and Safeway has admitted its coffee contains “some” Kona coffee. That coffee is not available at any of its 19 Hawaii locations. Safeway officials have said they are reviewing their blend and packaging and will have a reply for KCFA by Sept. 1. However, KCFA members felt that was too much time and staged their picket Thursday.